Buy 3 boxes 2-liter tablets, Get 1 FREE! Buy 3 boxes standard tablets, Get 1 FREE! 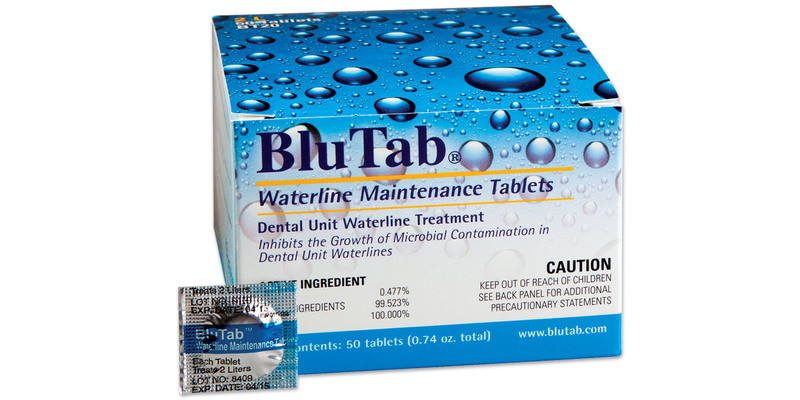 Simple to use and effective at maintaining clean dental unit waterlines. Just add one effervescing tablet to your self-contained water bottle each time it is refilled. Remains effective for 28 days so there is no need for weekly “shock” cleaning or purging. Does not affect water color. Tasteless and odorless, and has no effect on bonding. 50 tablets; each tablet treats 700-750ml water. 50 tablets; each tablet treats 2 liters of water.